This attractive display will add an old fashioned touch to your home this holiday season. Add a scented candle to ring in the season. 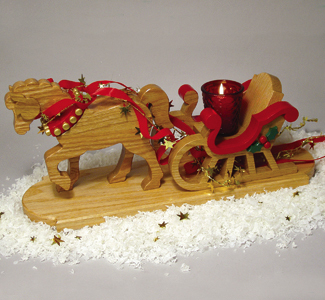 Make it on your scroll saw from hardwood of your choice using our full-size pattern. (Base measures 5 1/2" x 18" long).